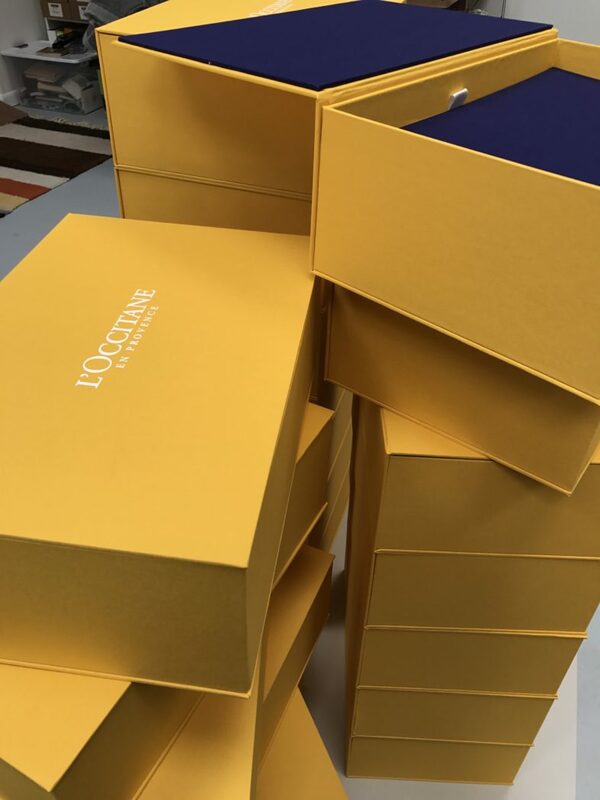 Recently Bella Forte Designs has had the privilege of working with L’Occitane to create these vibrant presentation boxes. Using L’Occitane’s gorgeous brand colors the BFD studio feels ready for spring! The cover and walls are in yellow Iris cloth and the interior lid and floors are in lapis Iris cloth. In addition to the already spring like colors L’Occitane’s logo has been expertly embossed, by the BFD team, on the cover in a crisp matte white foil. Here at Bella Forte Designs we love helping brands create the perfect presentation for their products. As a result we create lasting relationships with our clients. Searching for a presentation box that best represents your brand? While your creative energy flows, look at our PDF portfolio to see how we can help.